Environmental Group Plans Methane-Tracking Satellite : The Two-Way Scientists hope MethaneSAT will show where the potent greenhouse gas is coming from. Tracking methane in the air is difficult because it rises and spreads from the source. A new satellite, called MethaneSAT,will track methane emissions from oil and gas fields, as well as agriculture and natural sources. It's due for launch in three years. "Methane is such a potent greenhouse gas," he says. "The gas actually accounts for more than one quarter of the additional warming that we experience today." Methane leaks from oil and gas operations. Farms also generate methane as do natural wetlands. Tracking methane in the air is hard because it rises and spreads from the source. Measurements taken on the ground and from planes vary all over the place. Hamburg says the satellite, called MethaneSAT, is the best thing yet for quantifying and tracking the gas: "It will be able to see where it's happening [and] how much, across the globe — not just the big sources, but all the sources collectively, and understand the scale of the problem. That's the kind of data we don't have anywhere in the world." The satellite will be about the size of a beer keg and is due for launch in three years. It's funded with money raised from wealthy philanthropists. Atmospheric scientist Steven Wofsy is at Harvard University, which is part of the team. He says satellites that currently measure methane deliver good data, but render a big blurry picture. "We're looking at the regional scale down to the square kilometer scale or even finer," Wofsy says. He adds that having an independent, bird's eye view of methane sources means scientists don't have to get permission to go into oil and gas operations to find leaks. Wofsy says some people suspect that companies might be cleaning up their operations before an arranged visit. "There's been a lot of discussion," he says. "How can you believe it? It'll be something that's just set up for you." 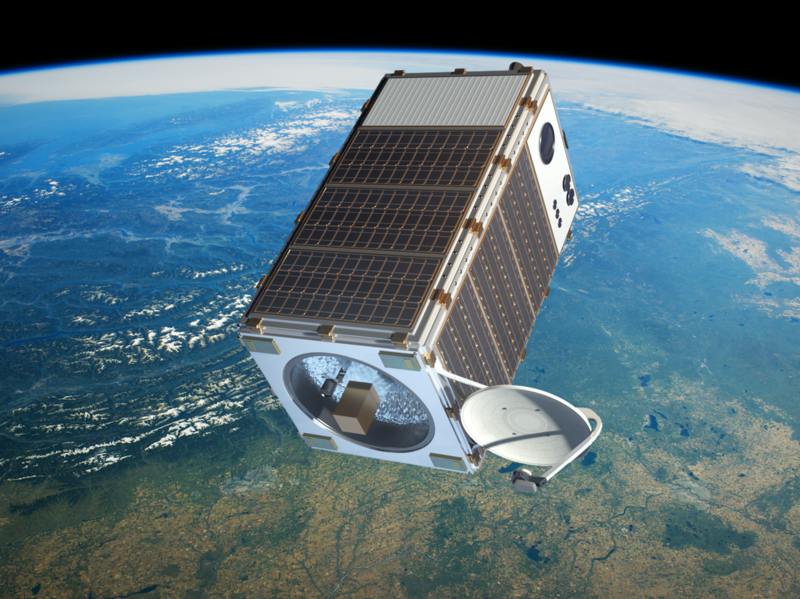 The satellite will also scan other methane sources like dairy operations, rice paddies, landfills and wetlands. While it may not be precise enough to identify an individual well or farm or rice field, it can locate regions where methane is high, and where it moves over time. Ultimately, of course, people will then have to figure out how to stop the leaks.